First off we would like to thank our friends over at Foss National for this contribution! Especially its author Grant Chitty. Thinking about your next vehicle upfit? Make sure you plan it out properly from the get go. If not, you’ll likely end up with an unhappy driver. Drivers are more productive, effective, and happier. You can reduce driver turnover, which in turn lowers costs associated with hiring and training new employees. Better-equipped vehicles attract and retain better-qualified drivers. Ultimately, a good upfit leads to a better ROI for your company – it’s a win-win situation for both you and your drivers! Some companies try to standardize upfitting for all vehicle types in their fleet. However, each driver of each vehicle has their own take on what they’d like. Even if you have a standard need, it’s important to know the driver’s needs. If upfitting is a tool that adds to the employee’s efficiency, and the result is decreased labour costs, then it only makes sense to provide employees with the right tool for the job. Use these strategies to make sure your next upfit is successful, and is a worthwhile investment for your company. At the end of the day, conflicts are just opportunities that you haven’t taken advantage of yet. Even if you’re new to a company or you’ve inherited a bad relationship between the company and employees, you still have the opportunity to fix the situation. You can proactively address conflicts by looking at upfitting as a balance between the driver’s needs and the upfitting cost to the company. Evaluate the upfitting cost against the savings in labour and the increase in driver happiness. Time and again, you’ll likely find the labour savings and happier drivers far outweigh the cost of the upfit. A common challenge is, drivers often want more upfitting equipment than the company is willing to pay for. Involving the drivers in the planning process can help them understand why the budget may be limited. Your company needs shelving on both sides of a van and a rubber mat on the floor to prevent sliding. However, these changes make the driver’s job more difficult and uncomfortable. Through driver input, you discover the bulkhead is unsatisfactory and the seat doesn’t go all the way back. Also, the driver wants to know, “Why is there shelving on the right side when I don’t need it there?”. By involving drivers in the planning process, you can eliminate situations like this entirely. It also empowers them and allows them to contribute their insights on how the company can improve driver satisfaction in the future. Showing drivers that you’re aware of their needs will make them feel connected and valued. This is key in helping you bridge the gap between company goals and driver needs. Pro tip: Give upfitting experts like Sterling permission to talk directly with your drivers. Good upfitters won’t try to force you in a direction you don’t want to go. But they can help provide insight into the realities of driver requirements. By looking at both sides, you gain the ability to control costs, improve driver morale, and reduce workloads. Also remember that, with smart upfitting, drivers will be happier and less likely to go work for the competition. After all, you have an investment in your drivers and the longer you keep them, the greater the value of your investment. What will the vehicles be used for? This defines how to upfit the fleet. As the business needs change, the roles of the vehicles will change too. 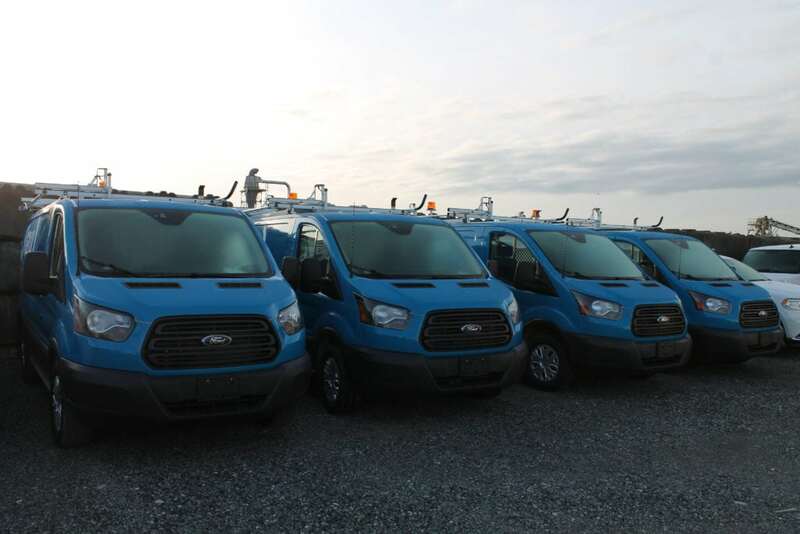 Make sure your fleet is keeping pace with job duties by making upfitting improvements that match those duties. By looking at the end-purpose, you can create an effective and realistic plan for upfitting. A good tip is to plan for future changes too. That way, you can reduce the amount of times you have to go back and make improvements. Finally, choose upfitting experts (Like Sterling) that have a clear understanding of the vehicle’s purpose, as well as what the driver needs are. Successful planning not only improves the end result, but saves money by increasing efficiency and decreasing labor in the long-run. The key to good upfitting is not simply doing it, but doing it with a purpose. Not only is vehicle upfitting a tool that improves driver performance, it also reduces the driver’s stress and workload, along with yours! Start with good planning and good supplier partnerships. By looking at the balance between the company and drivers, you gain insights. Along the way, you can implement the needs of the company, without hurting driver moral. And ultimately, happy drivers make every fleet manager’s job easier.